What inspire 3 Michelin star chefs? Most of the time the surrounding nature and the locally made ingredients. Together with FoodReporter we visited the kitchens of two master chefs. We followed Emmanuel Renaut*** for a day at Megéve in France, and later he showed how the magic happens at Flocons de Sel. Then we took an insight of Restaurant Schloss Schauenstein at Fürstenau in Switzerland. 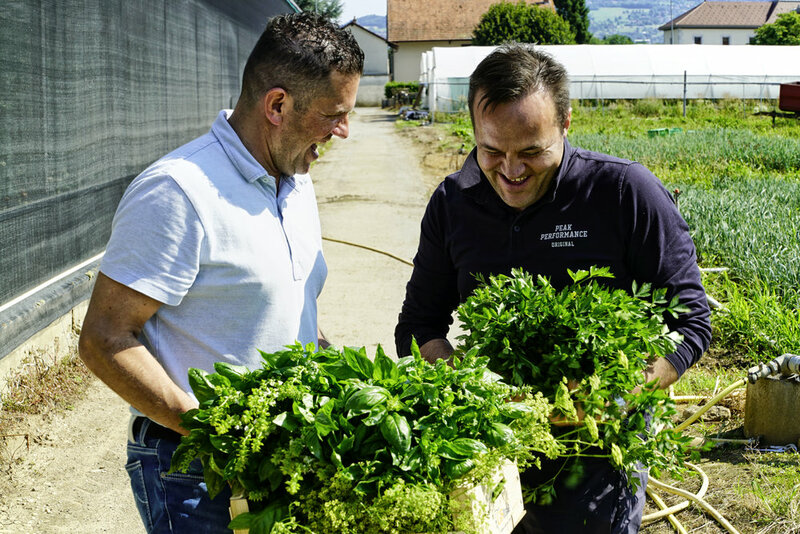 Andreas Caminada*** invited us to look around his neighbourhoodand see where his best ingredients come from. With Jacob Jan Boerma*** we have met two Duch sous chefs who work next to these rock stars.